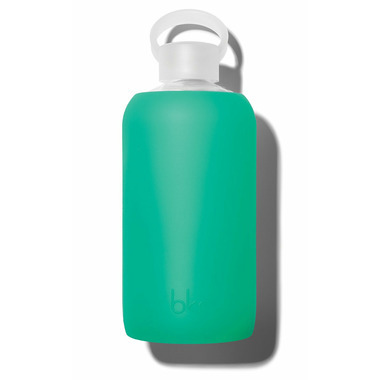 The bkr Gramercy Glass Water Bottle was inspired by midsummer celebrations that start with a lazy breakfast in bed propped up by down-filled pillows, flower crowns, a three-day weekend among lakes, pine trees and red cottages, the feeling of slow living lingering into the week, a big glass of green juice and a brave couple of wheatgrass shots and curling up in a sunny spot and inwardly purring. Perfect bottle to have at my desk. I love that it's glass. Easy to clean. Silicone cover is comfortable in my hand.